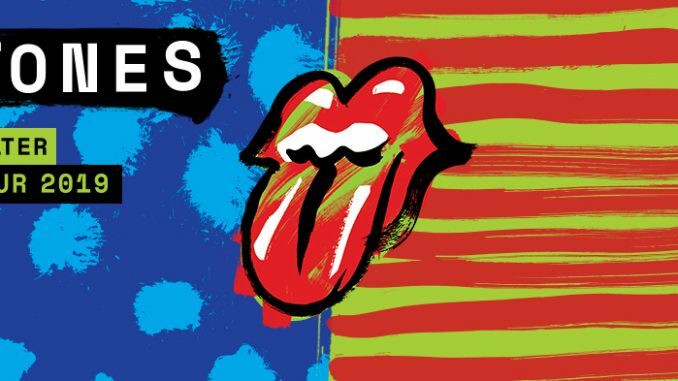 The Rolling Stones have just announced details of their No Filter US Tour 2019… The band has toured every year since 2012 and the forthcoming tour launches April 20 in Florida and finishes in Chicago on June 21. The initial announcement includes 13 dates, however there are several days between each tour date so additional shows seem likely, even with the Stones’ average of 3-4 days between shows. The dates below are an extension of the group’s 20118 No Filter tour. There is a strong rumour that the Stones will be playing on May 2 at the New Orleans Jazz & Heritage Festival. Festival organisers have added an extra day to the event and designated that May 2 will have a seperate ticket. Banners featuring the iconic tongue logo have been appearing at football stadiums over the past few weeks and dates have now been confirmed. According to Forbes magazine, the Stones stand to make $10 million a night for each concert. The magazine reports that the band’s 2005-07 tour is the second highest earner of all time, with revenue topping $558 million. The major exhibit of Stones memorabilia and artifacts, Exhibitionism, has toured major cities, and opens in Sydney this week. The band was reported last year to have started working on a new studio album, but no release date has been scheduled. There will be a special fan pre-sale on Wednesday 28th November at 10am (local time) via rollingstones.com. If you are on the mailing list you will be emailed a code for the pre-sale the day before it begins. If you wish to receive early access, enter your details here* by Tuesday 27th November at 9am EST. Tickets go on general sale on Friday 30th November at 10am (US local time).